The annual National Poetry Day organised by the Forward Arts Foundation took place on October 3rd. The Prince of Wales, royal patron of the Dylan Thomas Centenary, created a great deal of publicity for the centenary by recording a version of his favourite Dylan Thomas poem “Fern Hill”. The recording was broadcast on the BBC Radio 4 Today programme along with an interview with Dylan’s granddaughter Hannah Ellis who talked about the centenary project, and said that “We need to focus on a younger generation and give them the feel of playing with words“. You can listen to Prince Charles’ reading Fern Hill on the Dylan Thomas centenary website here. This year’s National Poetry Day theme was “Water”, and Dylan Thomas fans on twitter joined in the event by tweeting water themed Thomas quotations as part of their regular weekly #DylanThomasThursday event. Dylan Thomas Thursday is a weekly Twitter celebration of the words of Thomas initiated by Spencer Feeney, the chairman of the Swansea steering group for the DT100 celebrations. Laugharne was a hive of activity during September when filming took place for the forthcoming BBC Dylan Thomas drama “A Poet In New York”. 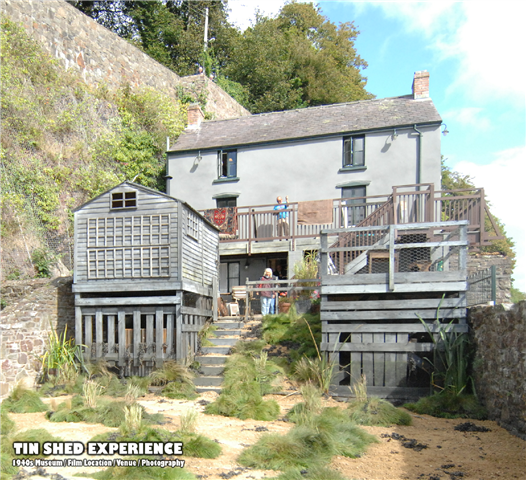 The filming saw the poet’s former home at the Boathouse transformed into a 1950s film set, and more filming took place at the Tin Shed Experience the excellent 1940s museum. UCAN, the performance and creative arts co-operative for blind and partially sighted children, young people and their friends, will be creating a radio play of “A Child’s Christmas In Wales”. Visually impaired young people from Wales and America will feature in the lead roles and create the accompanying music. Live performances of the adaption will be staged in South East Wales. This project is funded by The Arts Council of Wales and a Winston Churchill Travel Fellowship which was awarded to UCAN’s Co-founder and Development Director Jane Latham. To mark the Dylan Thomas centenary the London Welsh Chorale is launching a competition for young composers to set Thomas’s poem “The Hand That Signed The Paper” for SATB choir and keyboard accompaniment. The winning entry will attract a prize of £200 and be premiered at the Chorale’s concert on July 12th 2014. The competition will be judged by Simon Halsey (LSO Chorus/Berlin Rundfunkchor), Edward Caswell (Netherlands Radio Choir), Edward-Rhys Harry (composer, conductor and Musical Director of the London Welsh Chorale) and Huw Edwards (broadcast journalist and President of the London Welsh Association). Following on from the news that the Prince of Wales had chosen Fern Hill as his favourite Thomas poem, further proof of the poem’s popularity was confirmed by it’s appearance at number four on a list of the most broadcast poems on BBC Radio 4 show, Poetry Please. Dylan Thomas’ passport can now be viewed page by page on the National Library of Wales website. Suggestions have been made that the Welsh government owned Cardiff Airport should be renamed in honour of Dylan Thomas. Will it be a flyer? Intrepid BBC weatherman Derek Brockway has been in Swansea filming a Dylan Thomas themed walk for his Weathermen Walking series. Actor David Garland Jones has filmed a whistle-stop 3 minute tour of Laugharne which can be viewed on youtube. Annual Wreath Laying – The society will also be taking part in the annual wreath laying at Dylan’s memorial in Poet’s Corner, Westminster Abbey. This year’s event takes place on the 60th anniversary of Dylan’s death on November 9th. 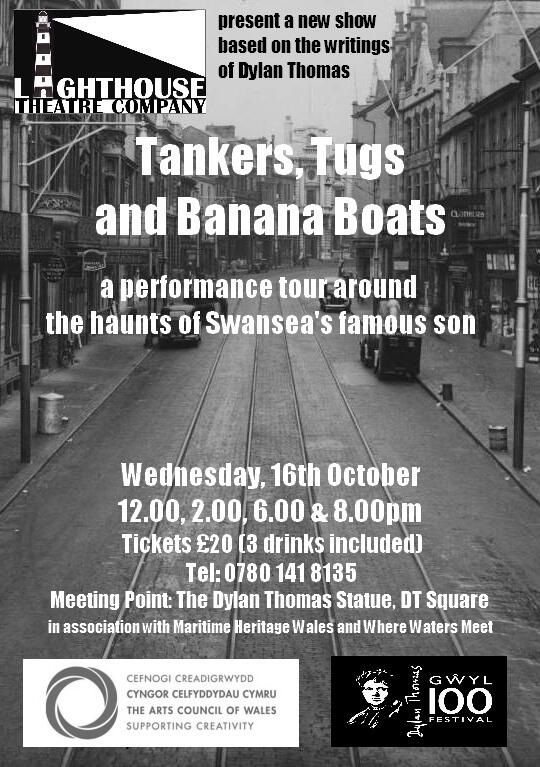 Swansea’s Lighthouse Theatre presents a new promenade performance walking tour of the Burrows and Marina areas of Swansea based on the writings of Dylan Thomas. Two of the stories from Dylan’s Portrait of the Artists as a Young Dog have been adapted for the stage by Gwynne Edwards and will premiere at the Swansea Little Theatre under the direction of Stephanie Jefferies. Extraordinary Little Cough and The Peaches, Dylan Thomas Theatre, Swansea, October 30th – November 2nd. In another new production, ‘Dylan Thomas: the Clown in the Moon’, Rhodri Miles, fresh from his success in ‘Burton’, takes on the part of Dylan Thomas, first in Swansea, then in London, Laugharne, and finally New York. Dylan’s early life become darker as he finds it more difficult to write, his marriage fails, and his health grows worse. Set to go on tour after an initial presentation at the Grand Theatre, Swansea, the play is written by Gwynne Edwards and directed by Gareth Armstrong. Dylan Thomas: the Clown in the Moon, February 14th & 15th 2014, Grand Theatre, Swansea. (Tickets not yet on sale). Dylan Thomas : The Pubs by Jeff Towns. Published by Y Lolfa. Launch at Swansea Museum on October 24th at 7pm. The title will also receive a West Wales launch at Brown’s Hotel, Laugharne, October 31st, at 7pm. Vernon Watkins on Dylan Thomas and Other Poets and Poetry, Selected and edited by Gwen Watkins and Jeff Towns. Published by Parthian. Launch at Norton House Hotel, Mumbles, October 26th at 2pm. The Poetry of Dylan Thomas : Under The Spelling Wall by John Goodby. Published by Liverpool University Press. Launch during the Dylan Thomas Festival, at the Dylan Thomas Centre, Swansea, November 4th 7pm. Musician Richard James and artist Anthony Shapland have created a short original film and music score exploring the vocal, lyrical, rhythmic and literary strands of Dylan Thomas’ west Wales world. The film will be screened at Chapter’s Experimentica Festival and will be followed by a conversation between the artists and Hannah Ellis, granddaughter of Dylan Thomas and Honourable Patron of the DT100 Festival. The film will tour in 2014. Amongst the regular events arranged at the birthplace in Swansea are these Dylan themed events. October 26th – Afternoon Tea Party for Dylan’s Birthday. Fifties tea party with jelly and blancmange, marmite and spam sandwiches plus the unplugged music of the celebrated group Afternoon in Paris including the World Premiere of Dylan’s The Clown in the Moon set to music. 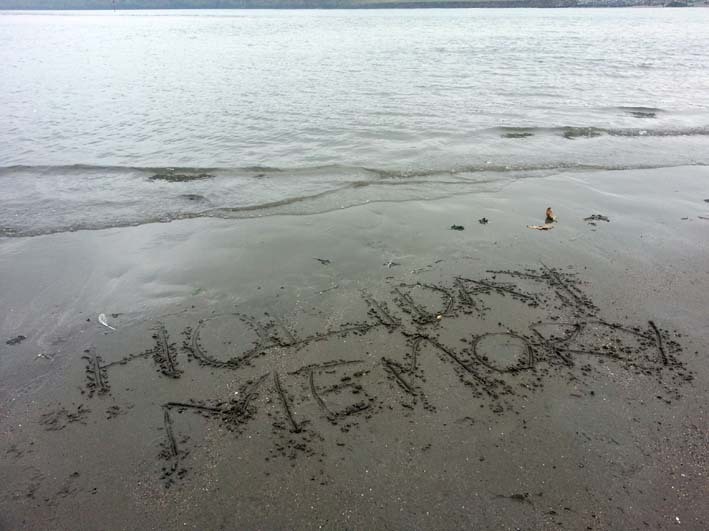 November 9th – Dylan and Dylan Remembered. On the sixtieth anniversary of the Dylan’s death, The Buttonsville Trio take a musical look at the influence of Thomas on Zimmerman including some new original compositions. For a Fifties wake we will have suitable refreshments to help you enjoy. Amongst the regular events arranged at the Boathouse in Laugharne are these Dylan themed happenings. December 1st, 8th, & 15th – Christmas At The Dylan Thomas Boathouse, with a performance of “A Child’s Christmas in Wales” by Mark Montinaro. 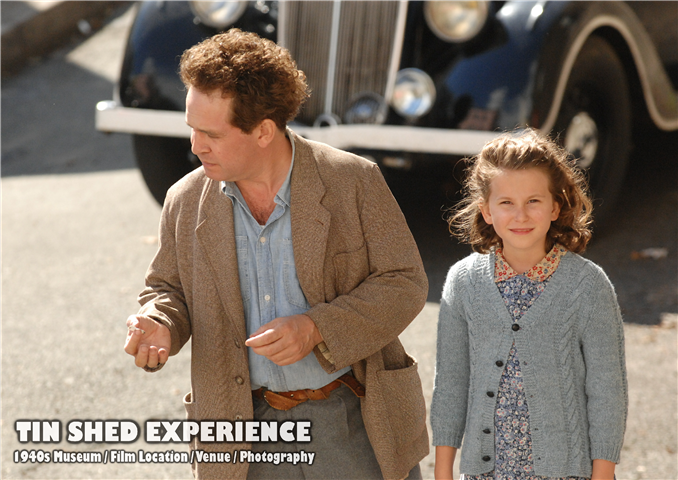 The annual Dylan Thomas Festival takes place in Swansea from 27th October to November 9th. Uplands Tavern: The Garage Players, A night of Dylan Thomas readings in Dylan’s former local, the Uplands Tavern, presented by Swansea ensemble, The Garage Players. It will include some of Dylan’s lesser known short stories and poems, plus two sketches, newly written by the Players, based on Dylan Thomas’ life and family. November 7th. Gillian Clarke launches A Christmas Box National Poet of Wales, Gillian Clarke, reads from and discusses her response to Dylan’s A Child’s Christmas in Wales. 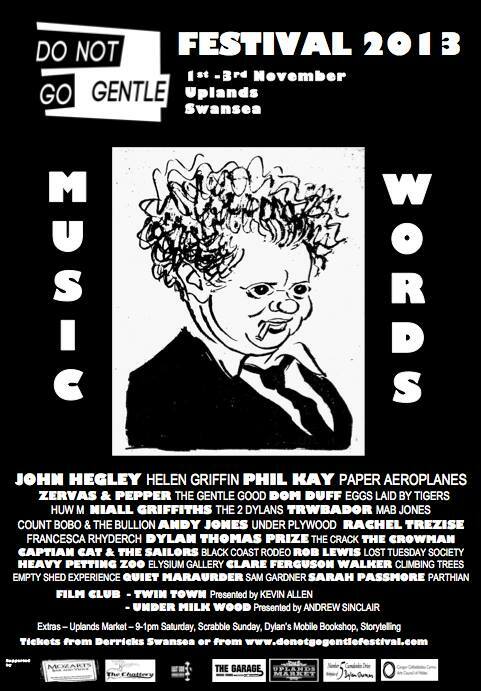 This new piece of work has been commissioned by the Dylan Thomas Centre for readings and performances throughout Dylan’s centenary year and beyond. November 9th. Carol Anne Duffy and Gillian Clarke at the Dylan Thomas Centre, Swansea, December 13th. Readings from National Poet of Wales Gillian Clarke, and Poet Laureate Carol Ann Duffy. Both are patrons of the Dylan Thomas centenary. Under Milk Wood – A screening of the 1972 big screen version of Under Milk Wood in the company of director Andrew Sinclair and Chairman of the Dylan Thomas Society Jeff Towns. The film will be shown as part of the Film Club series which will also feature a screening of the Swansea based “Twin Town“. The Two Dylans – A discussion about two legendary icons of the twentieth century, Dylan Thomas and US singer Bob Dylan. Taking part will be David Boucher, author of Dylan and Cohen: Poets of Rock and Roll, and The Political Art of Bob Dylan, Jeff Towns, the owner of Dylan’s Bookshop, Swansea and famous collector and authority on Dylan Thomas; and Daniel Williams, an authority on Dylan Thomas and the Beat Generation. Eggs Laid By Tigers – The Danish rock band have used the words of Dylan Thomas as lyrics for songs on their latest album “Under The Mile Off Moon”. Dylan Thomas Prize – Authors short-listed for the 2013 Dylan Thomas Prize will read from their work. 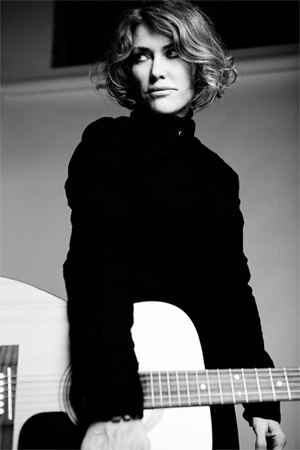 They will be joined by the 2006 winner Rachel Trezise. Dylan’s birthplace at 5 Cwmdonkin Drive will be an event venue, the mobile version of Jeff Towns’ famous Dylan’s Bookstore will be in attendance, and the front bar of Mozart’s will be transformed into Dylan’s Cwtch, a Thomas themed bar complete with real ales named after characters from Under Milk Wood, music from the 1930s and 1940s, and a display of Dylan Thomas artwork by Swansea artist, Jeff Phillips. Clwyd Theatr Cymru, Mold, February 6th – March 8th 2014. Directed by Terry Hands. New Theatre, Cardiff, March 11th-15th 2014. Directed by Terry Hands. Grand Theatre, Swansea, March 18th-22nd 2014. Directed by Terry Hands. During 2014 a Welsh jazz quartet will be performing Stan Tracey’s classic jazz suite Under Milk Wood. More information here. An opera based on the original play for voices has been composed by John Metcalf. A world premiere production by Taliesin Arts Centre in co-production with Le Chien qui chante (Montreal) & Companion Star (New York) and in association with Welsh National Opera. The curtain raiser for next year’s centenary celebrations. 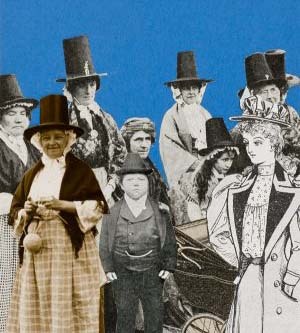 Sir Peter Blake’s 25-year project to illustrate scenes from Under Milk Wood, “Llareggub”, will be exhibited at the National Museum of Wales, Cardiff, from November 23rd 2013 until March 16th 2014. Sir Peter Blake will also be talking about his Under Milk Wood project at the Bath Autumn Book Festival, November 26th 2013. Fluellen Theatre, Dylan Thomas Centre, December 12th, “Christmas In Wales“, a celebration, in words and music, of Christmases past and present, the second half of which is an adaptation of A Child’s Christmas In Wales, with Delyth Jenkins on harp. 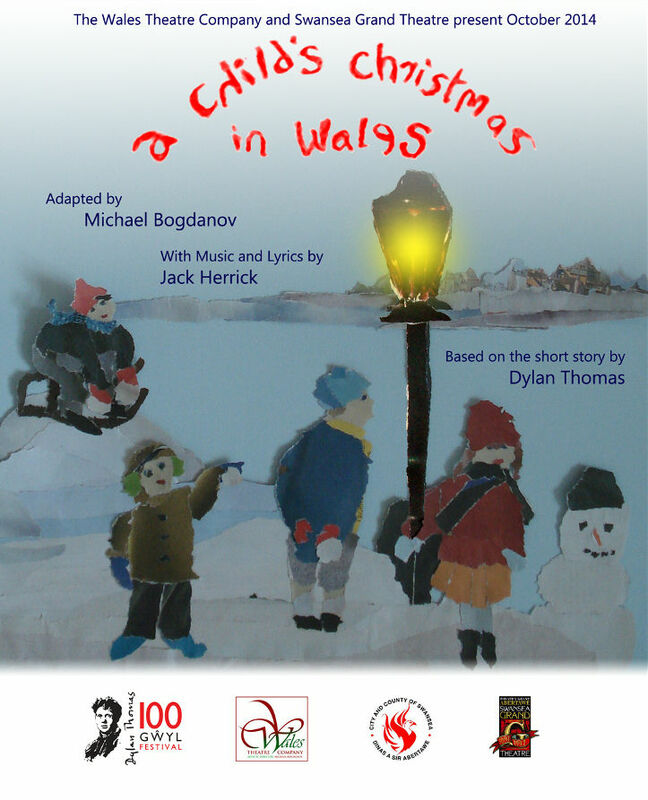 A touring production of A Child’s Christmas In Wales adapted by Michael Bogdanov and presented by the Wales Theatre Company and the Swansea Grand Theatre will be touring theatres across Wales from October 29th. Hook, Line and Carol Singing – Cerys promises a festive feast of carols, stories and singalong classics. Likely to feature Dylan’s A Child’s Christmas In Wales.